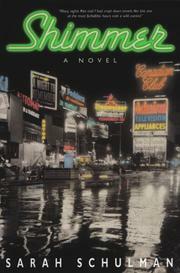 A pretentious lefty fairy tale of postwar New York by philosophe-novelist Schulman (Rat Bohemia, 1995, etc. ), who tries—with a lot of cultural name-dropping and the usual references to Joseph McCarthy—to introduce us to an era and place that we have met many times already. Three characters, all poster pics for causes and opinions, tell the story, which begins in 1948 but often flits to the present: Sylvia Golubowsky (an aspiring newspaper reporter, the lesbian daughter of Jewish immigrants); Tammi Byfield (a black graduate student writing a thesis on her grandfather’s memoirs of the period); and Austin Van Cleeve (a viciously stereotyped, reactionary WASP gossip columnist). Times are bad for good lefties like Sylvia, who just wants to be an ace reporter on the New York paper where she starts off in the typing pool: Her parents won’t support her ambitions, her brother Lou (a political sellout) gets her dream job, and Austin (a tireless schemer and lecher) finally gets newspaper editor Jim O’Dwyer to fire all the Communists on his staff—including her. Meanwhile, Tammi learns from her grandfather Cal Byfield’s memoirs that he was briefly married to white jazz pianist and free-spirit Caroline, but because of racial prejudices of the time he couldn’t get his plays produced. Instead, he flipped hamburgers at a greasy spoon. Sylvia eventually has an affair with Caroline and makes a new life for herself in Vermont; Tammi learns to her relief that she does not have a white grandmother, since grandpa Cal divorced Caroline and married black, and she prepares at the end to fight injustice and learn from Cal’s suffering. Austin is dying at the story’s close, but he is still very rich and nasty and takes comfort that President Clinton has abolished welfare. Agitprop, pure and simple: The physical details of the period are nicely evoked, but the story itself is more a crude rant than a perceptive reprise of an era.